Showing 6 articles from March 17, 2011. 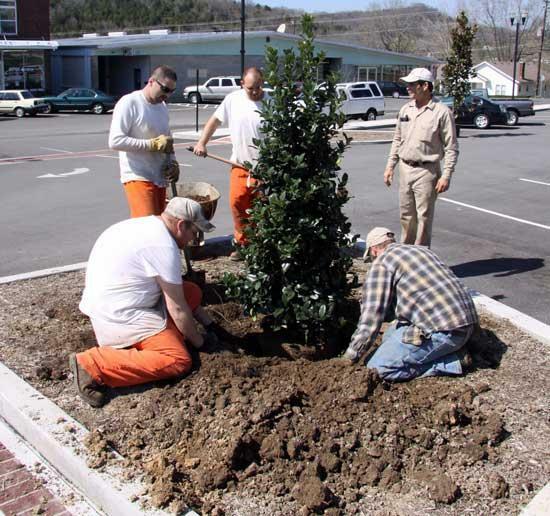 From left, Charles Grizzle, kneeling, Jason Brown, Dustin Alsup, and Eric White, with Preston Brothers Construction, plant a liberty holly tree on the Courthouse Square as City Maintenance Director Daryl Fisher, standing back, supervises. The group is planting new holly trees around the renovated courthouse.